And Argentina teeters on the brink of default because of hedge fund vultures like Paul Singer, who buy up national debt for pennies on the dollar and then demand payment in full. Today WV re-airs a 2011 interview with investigative journalist Greg Palast about his book, Vulture’s Picnic. 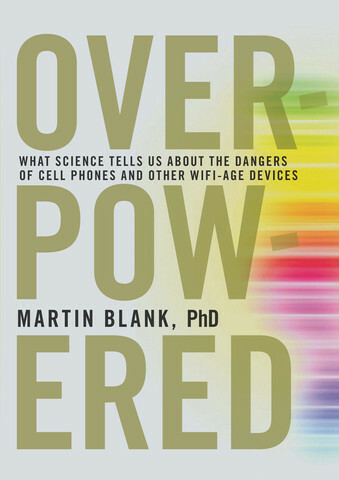 After reading Martin Blank’s book, Overpowered: The Dangers of Electromagnetic Radiation (EMF) and What You Can Do about It, you may find your cell phone feels less like a love object and more like a cross between a cobra and a dangerous addictive drug. And it’s not just the phone. You might want to move your clock radio across the room from your bed; switch your wifi off every night; and use the microwave sparingly — while exiling yourself from the kitchen until it’s done its job. That’s because Blank is an expert in the effects of electromagnetic radiation on cells — and those effects are not benign. He considers the proliferation n our environment of electric and magnetic field radiation (EMF) from the myriad of electronic devices we surround ourselves with to be the largest uncontrolled biological experiment on human beings ever done. In Overpowered, Martin Blank shows the evidence is accumulating that links EMFs to rising rates of certain brain and head cancers, Alzheimer’s disease, and even possibly autism. Martin Blank is a retired professor from Columbia University. At the end of July, the federal court in Manhattan ruled against Argentina in its debt dispute with hedge fund owner Paul Singer. Singer’s firm bought up a portion of Argentina’s debt for pennies on the dollar and is demanding to be paid 100% of the original value.Other debt holders have agreed to take less, but Argentina isn’t allowed to settle those debts until it pays Singer off. 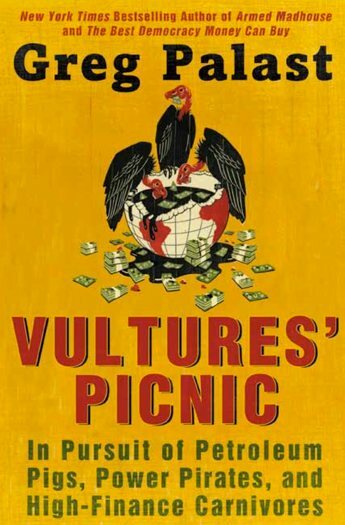 Singer is a so-called vulture capitalist — and he, along with others of his ilk, are the subject of investigative reporter Greg Palast’s book, Vulture’s Picnic. It uncovers the connection between predatory finance and dirty energy. It’s gripping–and scary–reading. I interviewed Palast in 2011. Read Greg Palast on Paul Singer and the Argentina debt crisis. Thank you for providing a microphone to Greg Palast!